“I have had the pleasure of managing radio stations geared toward the African-American community for over 32 years,” noted 900AM WURD General Manager Kernie L. Anderson. 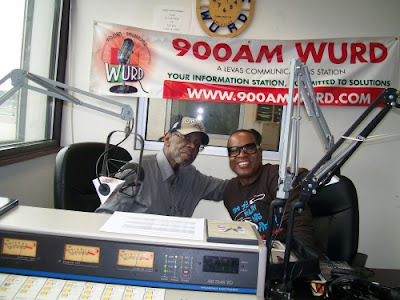 “Reggie Bryant (Pictured here with radio legend Dr. Perri Johnson in a recent interview.) is the smartest, culturally sensitive and talented on-air personality that I have had the opportunity to work with. The Philadelphia Tribune profiles long time talk show host "Dr." Reggie Bryant of 900 AM WURD Radio. Bryant's show "In Pursuit of Truth" is heard each weekday from 1-4 p.m.
-Long before Reggie Bryant became a radio staple, he was a community activist concerned with the direction African-American youth were heading during the turbulent mid-60s. When asked to share his comments with WDAS listeners, he was invited to come back again and contribute additional observations. That simple request lead to the beginning of a radio career that has now spanned uninterrupted for over 40 years.